One of the advantages of using a slow cooker is that it’s low wattage uses very little electricity. It costs only 21 cents to operate a slow cooker for a total of 10 hours! For example, if you roast a pork roast for 2 hours in the oven instead of using the slow cooker for 10 hours, you would spend $2.51 to operate an electric oven or $1.49 to operate a gas oven. 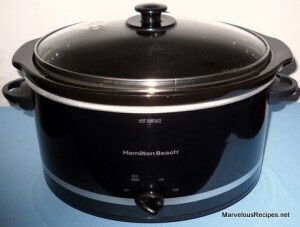 When you multiply the low cooking costs for a slow cooker over an entire year, you will experience some real savings!